Complete and flexible document management software solution for Windows users. 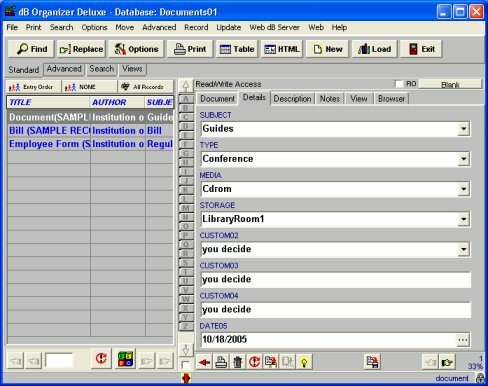 Manage and catalog all documents in your business/office library. 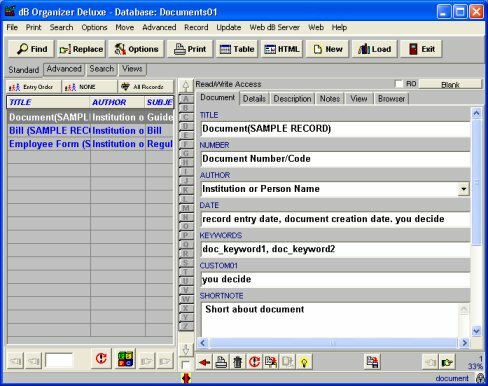 Manage your document information including document title, category, document type, author, institution, keywords, document subject, storage place, description, and more. Easily maintain information about all your documents. 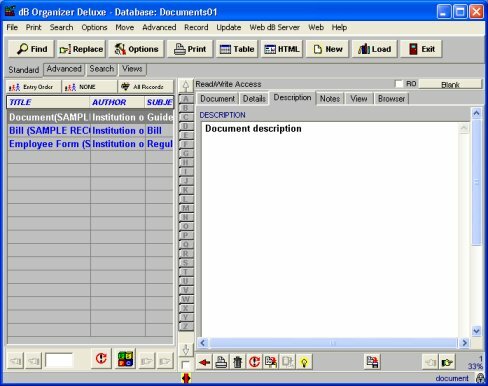 Print document reports, catalogs, and labels with color and graphics.